Last month HCHS held a Town Hall meeting for a Trap Neuter Return program in Hendricks County. At that meeting, Cathlene Hirtzel, HCHS volunteer and colony caretaker, spoke about the importance of implementing a TNR program in Hendricks County. This month, she answered some questions about TNR and what a TNR program could do for Hendricks County. If you are interested in TNR or would like to get involved in the program, please visit www.facebook.com/hccommunitycats/ to follow the program’s progress or to get involved! The program’s success depends on a strong volunteer network. 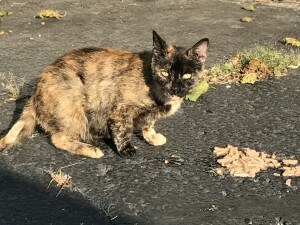 The community cats of Hendricks County need your help! Cathlene, please tell everyone a little about yourself and how you learned about Trap Neuter Return (TNR). Well, I’m a wife, mother, and grandmother. I think by nature I have been an animal lover since I was little. Until about 6 years ago, my love was contained to “just being a pet parent.” When my husband and I opened a business here in town (our business was planted right in the middle of a cat colony), our lives began to evolve into rescuers, one kitten at a time so-to-speak! Within just a few weeks we realized we were seeing many, many cats and we needed advice and help to be able to address what we were seeing. From there I found an online program through Indy Feral that explains TNR, cat colonies, and caring for them. I think after I made my first call to them for guidance, it quickly turned into a large networking of people that could help. In turn, I was introduced to a woman that was a volunteer for HCHS, who was working on building a TNR program through the Humane Society. Remembering back, I think everyone I spoke with directed me to links, literature and such, to others that practiced TNR, and the “mentoring” began. I believe the most simplistic way to explain it is: trapping a “free roaming” cat (in a live humane trap), having the animal spayed or neutered, administering rabies and vaccinations to the cat, the ear is “tipped” as identification the animal has been sterilized, and returning the animal to the location in which it was living. So this is physically the TNR process. However, there are a few other things that must be assessed, or ground rules to follow when you are considering TNR for a cat you are seeing. Is it friendly? Does it come to you and enjoy being petted? If so, the cat may be a lost cat looking for their owners. If you are able to touch the cat, then we suggest you take the cat to a local shelter, vet, or rescue to scan for a chip. The behavior of a cat does not always define if a cat is a stray or a free roaming that has lived its life outdoors “feral.” Many house cats that become lost can exhibit “feral like behavior” due to stress and the fight or flight expression. Frightened or “feral behavior” should always be trapped with a live humane trap and not handled. The professionals can scan to see if the cat is a lost pet in the TNR process and returned to owner if needed. What are the primary benefits of TNR? The number one benefit for the cat is their overall health. 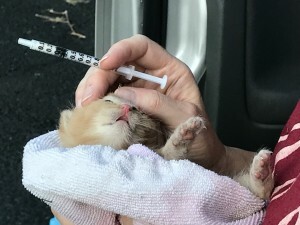 With the cats vaccinated against disease, this will increase their life span while protecting against disease they could contract living outdoors and amongst other cats, predators, etc. The females will no longer have the strain on their bodies to produce multiple litters each year. The males will no longer be driven by the “need” to mate, in which they will live a life without the aggressive fighting males can endure when unaltered. Reduces many of the issues people have with feral cats; the fighting, yowling, and other “negative behaviors” people feel the feral cats cause. Lastly, and arguably most important, is to reduce overpopulation from sterilization. Are there any other benefits to a community having a TNR program? Absolutely. With the program in force, the health benefits for the community are vaccinated cats that are outside. The cats will have less illnesses and less threat for the community’s health. With managed colonies and continued care it will make for better neighbor relations with the cats and each other. The TNR program and managed colonies can demonstrate to all, that compassion for cats teaches non-violence and tolerance for others. It is a reflection of the community and their values to humanely treat the cats and end overpopulation. Do free roaming cats pose a risk to public health? Most diseases that affect cats cannot be transmitted to humans. Infectious diseases that can be transmitted from cats to humans is through the cat directly and its feces. Since feral cats avoid human contact, cats are rarely the cause of an infectious disease. You are more susceptible to get a communicable disease at the grocery or with publicly “touched” facilities than with a feral cat. 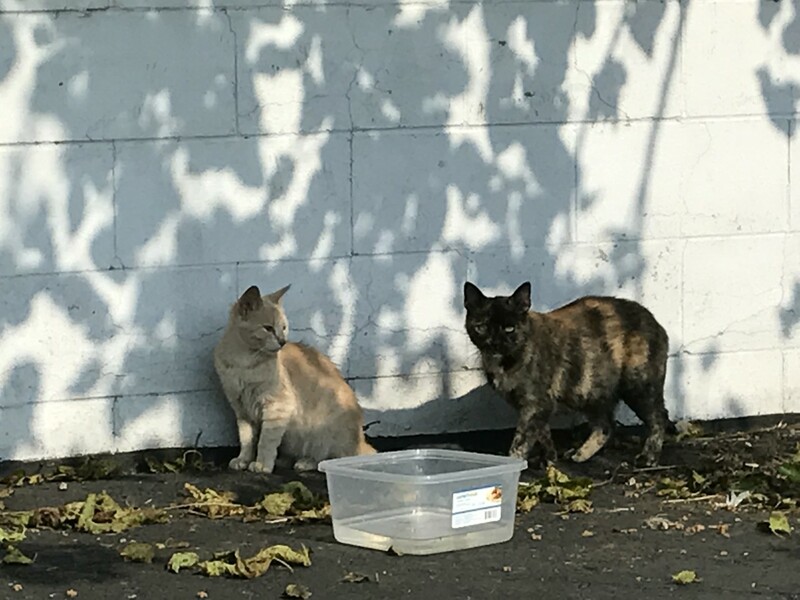 Ultimately, how can a TNR program and updated ordinances help end the feral cat overpopulation problem in Hendricks County? With the ordinances in force, we will be able to identify areas of need that are experiencing overpopulation. Our citizens will be able to freely ask for help without fear of consequences for them or the cats. We will be able to systematically address the areas, neighborhoods, or private citizens’ properties that have feral cats in need of sterilization. What are the advantages of adopting TNR ordinances for cats and caregivers? We can end the overpopulation cycle as they are identified, bringing a healthier and longer life span for our community cats, and protection for those whom feed and care for them. It can also bring unity within our community for a greater cause, promoting anti-cruelty and joining with our surrounding counties, as stated, for a universal stand for better laws and treatments for our free roaming cats. Is there anything else you would like people to know about TNR? There are several things that come to mind. Ignoring the free roaming cats is not a proactive or active stance to have with the cats and overpopulation. It is not an out of sight, out of mind issue, regarding their lives, their health and wellness, or their overpopulation issues. If we want to be a community that cares for our people and our people’s needs we must also want the needs of our helpless animal’s lives addressed as well. We should not be a people that turns a blind eye toward the free roaming cats and ignore the suffering they endure on a daily basis when allowed to populate endlessly. It is not a difficult program to implement. Everyday citizens are able to make a difference. Changing the life of even one cat that is free roaming in their area is a start. The desire for this program is here in Hendricks County, the people do want to make a difference in our community and with our cat overpopulation issues. Expressing human kindness to each other and our animals is an instinctive emotion and it should be protected as such. We also should have laws to protect that instinctive desire as well. Featured News, Information, News, Uncategorized. permalink. I know from experience that TNR works! I help to feed at 4 colonies and each volunteer plays an important part. Whatever you have to offer, it’s needed: donate your time to feed, transport cats to/from their spay/neuter surgery, donate cat food or funds. Thanks for spreading the word Cathlene!